Feng Shui is a Chinese system for creating a relaxing environment through focusing on positive energy. The literal translation for Feng Shui is “wind and water” which the Chinese associate with good health and fortune. When I think of Feng Shui, my mind goes immediately to a spa we visited on our anniversary. Everything… from the scent of lavender when we entered to the soft lights, colors, and the decor… was designed to create a setting of ultimate relaxation. It worked! Doesn’t it sound ideal to bring a more peaceful, relaxing “spa like” feeling into our homes? Especially since it’s the place where we spend most of our time. A few Feng Shui elements can help create a more calm and restful space. 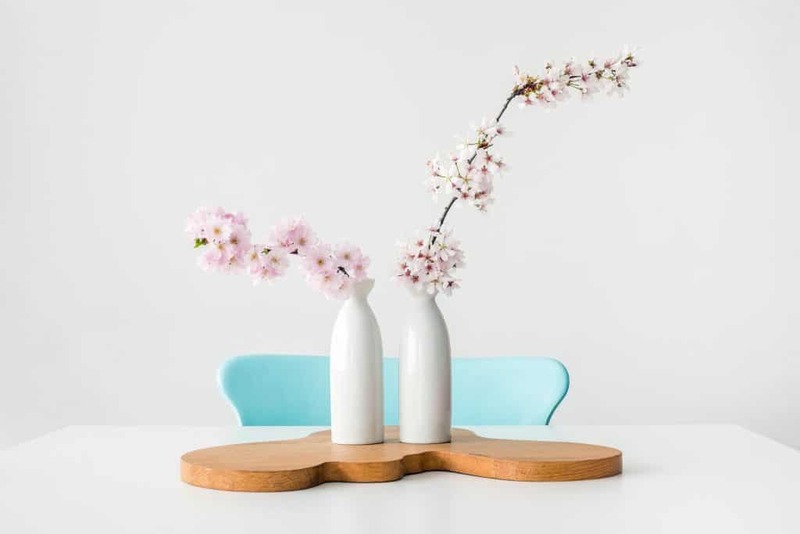 These 7 ways to Feng Shui your home are a way to add elements that focus on all of the senses to help achieve a more relaxing space. You probably have many of them in your home already. If there is an area of your home that does not bring you joy, try adding a few of these elements to improve the space over time. Indoor plants or greenery have benefits in addition to the Feng Shui effect. They bring nature indoors and reduce certain pollutants in the air. Some research studies have even shown that indoor plants improve concentration and memory. This makes plants great for our living areas and our work spaces too. I do not have my mom’s green thumb, but I still enjoy having a few indoor plants. I’ve found a hardy plant that meets the Feng Shui test. Bamboo grows into interesting designs and rarely needs water. It adds a pretty bright green color to your home and is easy to maintain. Another good option for those like me who have a hard time keeping indoor plants is a peace lily. The luscious scent of lavender or vanilla from candles or essential oils can transform a space. Maybe you love the ocean so you bring that into your home with scents like coconut and ocean breeze. Aromatherapy is powerful for improving our mental and physical well being. 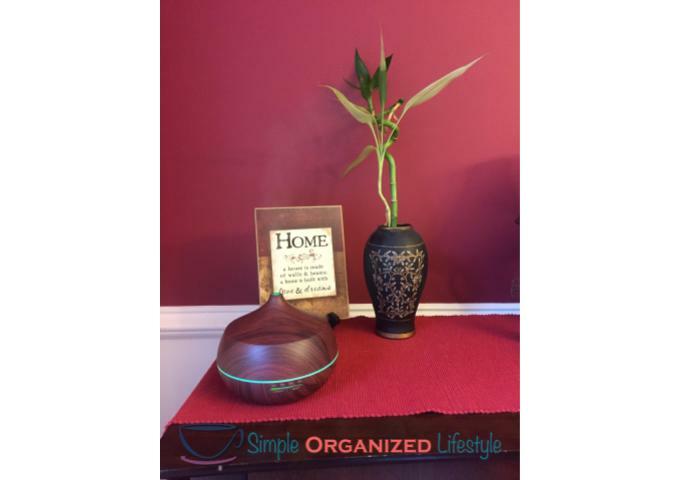 Recently, I was given an Essential Oil Diffuser and an oil set as a gift (it’s in the photo above). I love it! I can use it as a humidifier and add my favorite scents. I’ve especially enjoyed the orange essential oil as a fragrance for our kitchen and dining room area. I’m experimenting with different oils and it’s amazing how much a scent can change your mood for better or for worse! Adding a lamp for alternative lighting in your living room or bedroom is a subtle way to create ambience. Regular incandescent lighting can be harsh on your eyes and makes it hard to relax. Another lighting option is a Himalayan salt lamp. These lamps give off a soft yellow glow and are also known to have added health benefits. One other way to improve lighting in your home is to see if there’s an option of adding a dimmer switch. I believe the best lighting of all is natural sunlight. When you get the opportunity to open the blinds or doors, let the natural sunlight in and enjoy the benefits of Vitamin D from indoors! Music can be an instant mood changer! It can be some relaxing music or sounds of nature from a sound machine. Today’s technology makes it so easy to listen to music on our phones, t.v., computers or voice controlled speakers like the Amazon Echo . When our son was an infant, music instantly had a calming effect and soothed him to sleep. We used an app that had sounds of nature as well as wind chimes and soft instrumental tunes when he was tired but fighting sleep. Music can do the same for us when we just need to relax or unwind from a long day. I believe clutter is the enemy of Feng Shui! It makes us feel anxious and anything but relaxed. If you can just start small and declutter one area, over time you can declutter a large area. It makes us feel better to look at an area that is open, bright, and clear of clutter. Decluttering is good for an overall more positive mindset. Most of the time, the hardest part of decluttering is just getting started. We hold on to clutter for different reasons. We may consider something clutter but not be willing to part with it because it has sentimental value. It’s also easy to reach the point where the clutter feels so overwhelming that we just avoid it. If we don’t address these thoughts, then our clutter just becomes a bigger issue. It helps to think about what decluttering will do for our emotional and mental health. Less clutter creates a space that’s easier to manage and keep organized. Less in this case really does mean more! Colors really can have an impact on our emotions and level of energy in everything from what we choose to wear to how we decorate our home. Experiment with some different colors in a room to add a little more Feng Shui effect with your home decor! There are tons of websites that have inspiration for color palettes and a quick search on Pinterest will give you a lot of ideas to get started. The sight and sound of a waterfall is very relaxing. You can bring the same sound into your home with a water element such as a tabletop waterfall. An aquarium can also bring in a soothing sound of water running from the filter. 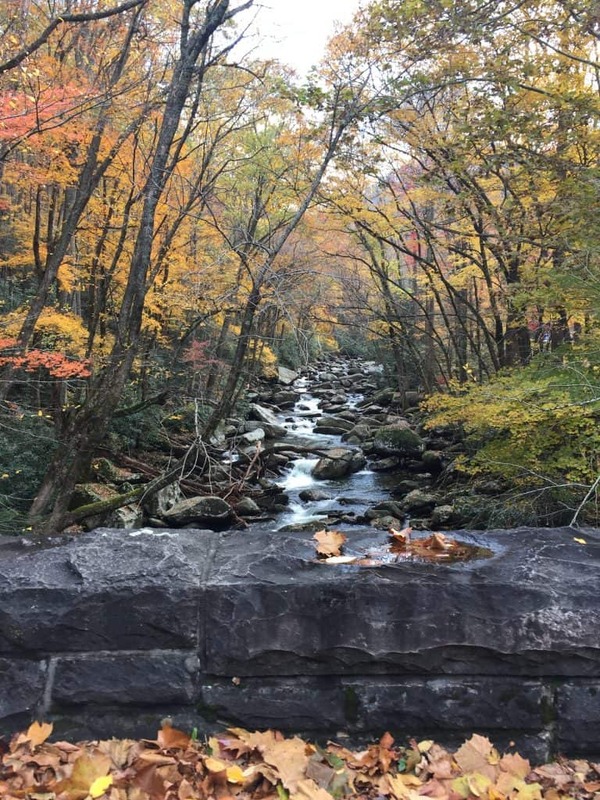 Some of our favorite places to vacation with the RV are by the river. There’s just something about sleeping a few feet from a river that reduces stress and feels peaceful. Just sitting by a river has the same kind of effect! My friend Nat from Simple Family Crazy Life studied Feng Shui and even had the places she lived in checked in and planned out by its best principles. As you have mentioned, one of the main principles: clutter is the main enemy and it is my personal favourite! Some people may even find our house too empty for their taste but I like it like that. Also, when we moved into our current house, we found a crystal hanging at the kitchen window and we were first thinking to take it down (as we were painting and cleaning). But the first morning we woke up to find the rainbow glare all over the kitchen and dining room ceiling which was a reflection off the crystal. It looked so beautiful! Until now, there is that specific hour in the morning, when it is sunny, our ceiling looks like many tiny rainbows. It is so magical! I love this! 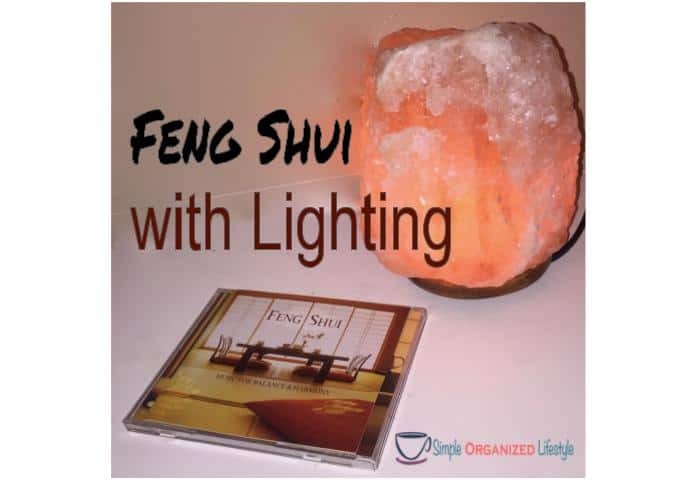 Everyone has different ways of bringing Feng Shui into their home and hopefully this gave you some ideas as well. The goal is to Feng Shui your home for relaxation and a space that brings you joy and helps you unwind from a busy day. What ways have you found to Feng Shui your home? Getting rid of clutter is the fastest way to create a more relaxing environment! And just so you know, the bamboo you mentioned isn’t actually bamboo, but it’s called Lucky Bamboo and it’s a dracaena. They are very easy to grow and don’t need much light! Yes, on the clutter- my most shared post is this one on decluttering! Appreciate the clarification on the bamboo, the fact that anything is green in my home means it is easy to grow:] Thanks for commenting! I love the sound of running water too. So relaxing! And lighting affects me a lot so I love lamps and dimmer switches:) Liked the color chart! Certain lights can give me a headache so I’m with you on using the lamps & dimmer switches! Glad you liked the color chart- it’s interesting how colors can influence us. Thanks Miranda!